Boeing is under scrutiny for the Maneuvering Characteristics Augmentation System (MCAS) that is used on the Boeing 737-8 and 737-9 MAX airplanes. 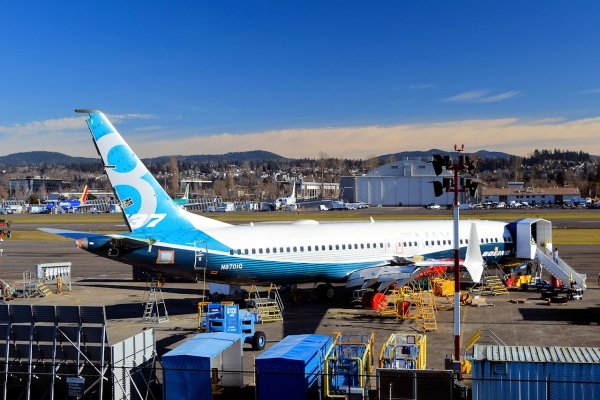 Both of the aircraft are commonly called the Boeing 737 MAX 8 and the Boeing 737 MAX 9 as those names are what the company uses to market the aircraft to the public. After the recent Ethiopian Airlines Flight 302 crash of a Boeing 737 MAX 8 and the Lion Air 610 crash last year, the aircraft’s flight control systems or flight control law systems have been focused on as the cause of both crashes. To improve the handling characteristics of the aircraft and avoid unwanted upwards pitch, Boeing introduced MCAS on the 737 MAX to ensure that the plane was able to maintain stable flight. The system is a flight control law system that helps to ensure that the plane does not go outside of normal operating characteristics. In this case, MCAS controls elevator trim for the airplane. In response to the Lion Air crash, the Federal Aviation Administration issued an Emergency Airworthiness Directive (AD 2018-23-51) requiring airlines and Boeing to update the flight manuals for the aircraft to include additional information for the runaway stabilizer procedure. According to Boeing and the AD, the flight crew will be able to disable MCAS and take control of the stabilizer trim by using electric or manual trim. After the Lion Air accident, MCAS had been blamed as a contributing factor. Based on multiple reports, the Angle of Attack pitot tube had failed and was reporting incorrect data. The incorrect data activated MCAS which trimmed the elevator downward. The pilots were unaware of the system and that it was trimming the elevator downward in response to false angle of attack data. The 737 MAX program is now in a bad position based on the events that have happened over the past few months. Will Boeing be to show that the Boeing 737 MAX is safe and will people be confident in the changes that the company is making? The future of the 737 is currently cloudy. Above photo of a Boeing 737-8 MAX by John Crowley on Wikimedia Commons and Flickr. Photo enhanced by FlyRadius and released under a Creative Commons Attribution-Share Alike 2.0 Generic License.